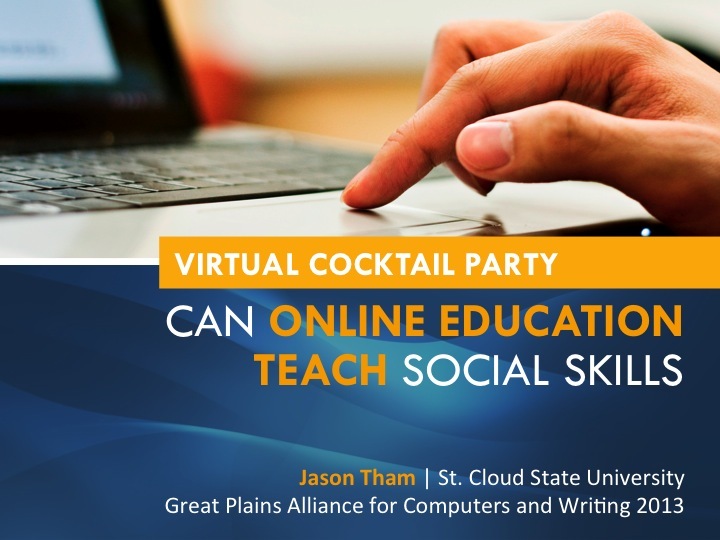 Virtual Cocktail Party: Can Online Education Teach Social Skills? Those of you who have been around me probably know that my research interests revolve around digital rhetoric and online pedagogy, especially the development of MOOCs, or massive open online courses. This summer, I took a composition MOOC offered on Coursera, delivered by Georgia Tech, as part of my research in digital rhetoric. Following a phenomenological approach, my study takes into account the experience and self-consciousness of the MOOC user as a central research method to draw inferences of a writer-scholar’s engagement with MOOC interfaces. Towards the end of the 8-week long course, I came across an interesting incident whereby I saw the connected learning theory in practice. Several students on the Georgia Tech MOOC found it difficult to keep up with the assignments and announced their withdrawals from the MOOC via the course discussion forum. What happened next was other MOOC students started encouraging these students to endure the challenges. While some students insisted that they were not apt enough to using the technology needed to produce the assignment, there were other students in the course who offered help to these quitting students to help solve their technological challenges. As hype around MOOCs and other online open-access educational platforms becomes stronger and louder, we as writing instructors may want to pay attention not just to administrative and political concerns about online education, but to also consider how students navigate themselves in these online learning environments, including their interactions with the interface and, more importantly, with their online peers. Before I proceed further, it is important for me to make a distinction between xMOOCs and cMOOCs. xMOOCs: While they include discussion forums, and allow users to interact and discuss ideas, the center of learning is instructor-guided. cMOOCs: They are simply discursive communities creating knowledge together. C stands for connectivist. 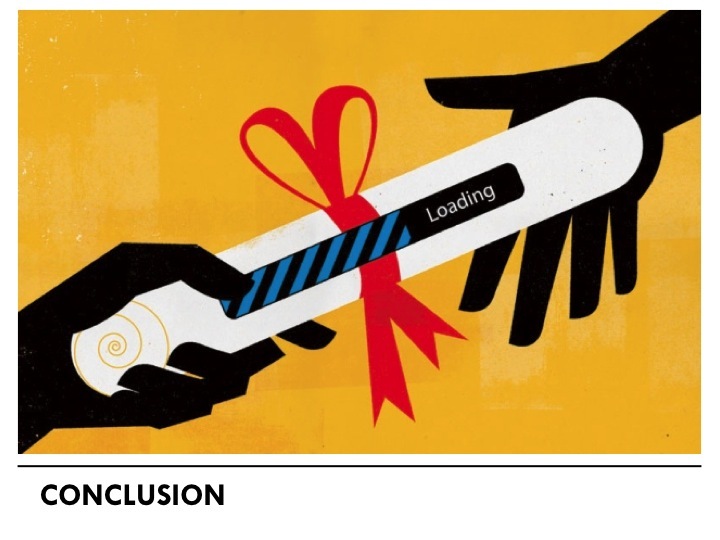 Now, xMOOCs are not better or worse than cMOOCs; they are just different. This entry focuses mainly on xMOOCs, which are offered via providers such as Coursera, EdX, Udacity, etc. Jennifer Morton, a philosophy professor at City College of CUNY, writes in the Chronicle of Higher Education this past July about the social and behavioral competencies that students in online classes develop and don’t develop – as compared to their peers in traditional face-to-face courses. She (quite rightly) points out that MOOCs and the like present an opportunity for disadvantaged students to get a taste of higher education at a drastically reduced price, or in most cases, for free. Though the offer seems appealing, Prof. Morton identifies several reasons why students should not turn to MOOCs for serious education, and this quote sums up her argument. A college education bestows not just cognitive skills—mathematical, historical, and scientific knowledge—but practical skills—social, emotional, and behavioral competencies. Tenacious, confident, and socially competent employees have an edge over equally cognitively talented employees who lack those practical skills. What students cannot learn online are precisely those social skills. Prof. Morton thinks that taking a MOOC is like sitting in a large lecture hall being lectured by a professor who doesn’t know her student’s name. She argues that since higher education is supposed to be a place where students from lower-income families to learn to socialize and engage with middle-class social norms, the adoption of online education by large public university will threaten to harm the very students for whom higher education is an essential leg up into the middle class. Because MOOC students are believed to not be able to socialize with other peers online, Prof. Morton argues that children from impoverished communities will not be able to pick up the desired social skills in the online education context. She also believes that such social skills are key competencies that would make students a “good fit” for their future workplace. As a response, Prof. Robert Talbert, a mathematician at Grand Valley State University, offers a few disagreements to Prof. Morton’s arguments. What I would like to do here is to highlight some of these disagreements, pairing them with my personal observations as a MOOC student, and validate his points by providing some examples from my experience. First, Prof. Talbert thinks that it’s a stretch to say that students “cannot” learn the types of social and behavioral competencies that Prof. Morton is talking about in an online setting. And I too agree that it’s probably more true that students who study primarily or entirely online will learn a set of social skills, but which are very different than the set traditionally developed in face-to-face education. Second, Prof. Talbert compares online education to homeschooling as a kind of alternative educational setting. We, of course, cannot say that online learning students don’t develop social skills they need later in life because there are certainly many homeschooled students go on to excel in college and the workforce. Conversely, there are many traditionally schooled students who are not socially competent despite the amount of face-to-face schooling they receive. Next, it is imperative to note that the entire category of “online education” is bigger than MOOCs alone and is a moving target. Prof .Talbert posits that it seems a little too premature to write off online education because there other models that universities are adopting to remix the online and face-to-face experiences. An example would be a flipped classroom model, where students are expected to acquire basic familiarity with new concepts before coming to class through a variety of means. Without shifting too much of a gear, I would like to draw another disagreement against Prof. Morton’s argument, based on the notion of electronic contact zones. As we celebrate the 20-year anniversary of Cynthia and Richard Selfe’s landmark article, “Politics of the Interface,” we are reminded that contact zones can take place within online learning communities. Going back to the video example I provided at the beginning of this presentation, it is apparent that MOOC students can be socialized into different norms, but ones that are different from the kinds of norms we expect to happen in a traditional classroom. Such socialization in the online community can be just as rigorous, if not more, than what is expected of a brick-and-mortar classroom. What does it mean for higher education institutions and teachers? Theoretically speaking, we should not count out online educational settings as dysfunctional when it comes to student’s socialization with one another in their networks. Instead, we should focus on some practical steps to suggest ways students and users can make more out of their MOOC experience. This may include asking question such as this: If we cannot achieve online what a traditional, face-to-face education would call as socialization, to what extent is this a problem with technology rather than the pedagogical platform? Echoing Selfe and Selfe’s call, we should re-evaluate the kinds of borders established by the platform and the interface of computers. In conclusion, I feel there’s no need to specify what kinds of social skills students should or shouldn’t learn in both traditional and online learning environments. 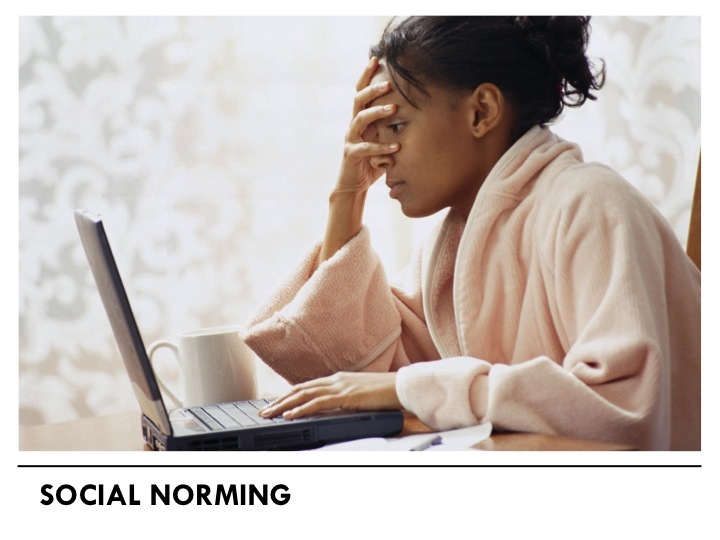 In a massive learning network such as MOOCs, one can only experience what it means to socialize online once he/she has completed one or more courses. And since the standards for online education is a moving target, we cannot really devise a model for success. Rather, we should constantly seek out ways to enhance the learning experience, and challenge to erase borders that divide communities. This entry is a digital reiteration of a presentation delivered by the author at the 2013 Great Plains Alliance for Computers and Writing at the University of Minnesota-Twin Cities. MOOCs have always amazed me, and I think they are a great way to learn. CourseEra, Khan Academy, etc. are great places to gain information, though they unfortunately don’t look especally shiny on a resume. There’s another type of online learning, and that’s online schooling, where there’s actually a whole school online. These students generally have more opportunity to socialize. Here’s my article answering the hard question: Do online students get to socialize?